The Pewaukee Scholarship Fund (Organization) requires all board members to maintain the highest ethical standards in all of their activities. 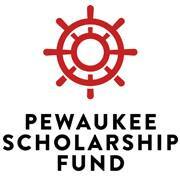 As representatives of the Pewaukee Scholarship Fund, we must practice honesty and integrity in performing our duties and comply with all applicable laws and regulations. It is the responsibility of all members of the board to comply with all applicable ethical standards and to report violations in accordance with this Whistleblower Policy. General PolicyNo board member who in good faith reports a violation of ethics shall suffer harassment or retaliation. A board member who retaliates against someone who has reported a violation in good faith is subject to discipline up to and including removal from the board. This Whistleblower Policy is intended to encourage and enable all board members and others to raise serious concerns within the Organization prior to seeking resolution outside the Organization. The Organization encourages an open door policy and suggests that board members share their questions, concerns, suggestions or complaints with someone who can address them properly. In most cases, this would be the President of the Organization, however, if the violation involves this individual then the next person to approach would be the Vice President. A member of the board will then be appointed to investigate all reported violations. Anyone reporting a complaint concerning a violation or suspected violation must be acting in good faith and have reasonable grounds for believing the information disclosed indicates a violation. If an allegation proves false and was done with malicious intent this will be viewed as a serious disciplinary offense. The board member who the violation is reported to will notify the sender and acknowledge receipt of the reported violation or suspected violation within five business days. All reports will be promptly investigated and appropriate corrective action will be taken if warranted by the investigation.